Photo of a black sand beach near Dyrhólaey in Iceland. Just around the corner is Vik. 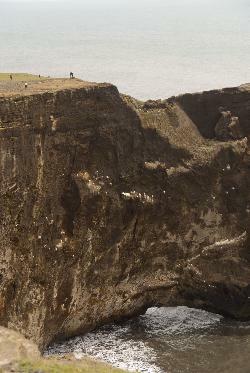 Photo taken from Dyrhólaey. Photo of Dyrhólaey near Vik in Iceland (Dyrholaey). 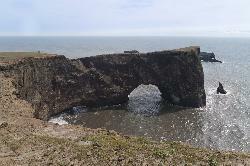 Photo of Dyrhólaey new Vik in Iceland (Dyrholaey), zoomed in to show size of the formation. 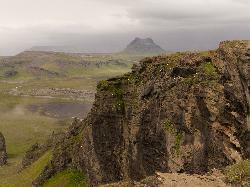 Photo of landsacape and volcano near Dyrhólaey in Iceland. Just around the corner is Vik. Photo taken from Dyrhólaey. Photo of the lighthouse at Dyrhólaey in Iceland. (Dyrholaey).The rock formation of Reynisdrangar is in the background.